On Saturday night at the Glenn Gould Theatre in downtown Toronto the late John Chisholm, founder and builder of Riverside International Speedway in James River, NS, joined an elite group of only 150 Canadians ever to be honoured nationally as members of the Canadian Motorsport Hall of Fame. Chisholm was one of four Canadian inductees that comprised the Class of 2015, along with International inductee Sir Jackie Stewart. 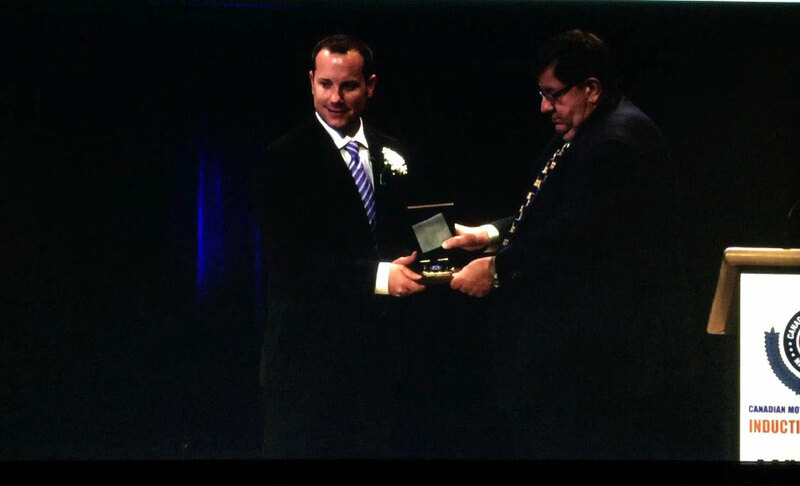 Donald Chisholm accepts the Canadian Motorsport Hall of Fame Induction on behalf of his father. Donald Chisholm, son of John and himself a champion racer, accepted the honour on behalf of his father; the presentation was made by Cecil Vance, friend of the Chisholm family and owner of Scotia Speedworld near Halifax, NS, and the Maritime Pro Stock Tour which operates as the Parts for Trucks Pro Stock Tour. Several members of the Chisholm family and friends were in attendance for the event. The presentation was preceded by a two-minute video highlighting John Chisholm’s motorsports accomplishments as a promoter, builder, racer, team owner, and philanthropist. Donald made an eloquent, poignant, acceptance speech which accentuated his father’s accomplishments from a personal perspective underlined with familial pride. 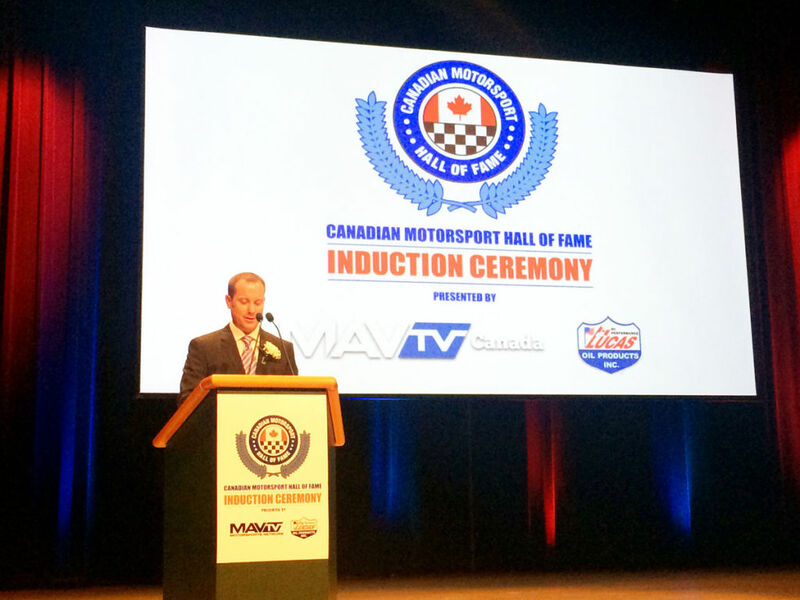 Other members of the Canadian Motorsport Hall of Fame Class of 2015 include stock car legend Don Thomson Jr., Indy Car and Canadian NASCAR series driver Alex Tagliani, and Ralph Luciw, developer of the Honda Michelin series, racer as well as a dedicated manager of the CMHF for many years; all were in attendance to receive their honour. Sir Jackie Stewart, the International inductee, was unable to make the event due to health reasons and was represented by well-known broadcaster Brian Williams. The Canadian Motorsports Hall of Fame induction adds to a long list of accolades for John Chisholm, in motorsports, business, and as a philanthropist. He is also an honoured member of the Maritime Motorsports Hall of Fame and has received numerous awards in business as well as honorary doctorates from both Saint Francis Xavier University and Dalhousie University. John Chisholm joins only a handful of Nova Scotians as members of the Canadian Motorsport Hall of Fame, including the late Scott Fraser, Jim Hallahan, Junior Hanley, Rollie MacDonald, and Greg Sewart. John Chisholm passed away in July 2014; he was 68.